You’ve finally got your blog up, and now you’re ready to share your knowledge with the world. But wait a minute, where do you start? 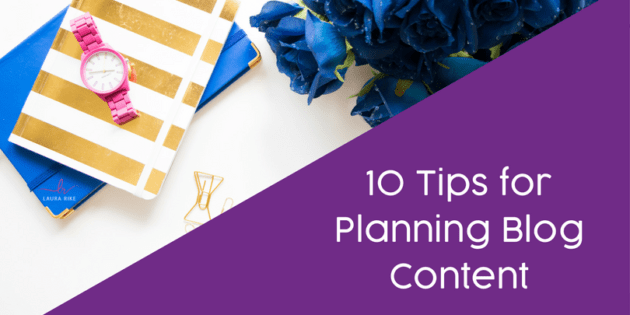 How do you plan your content so that your readers have a steady stream of posts that they will really want to read? And more importantly, how do you keep them hooked? 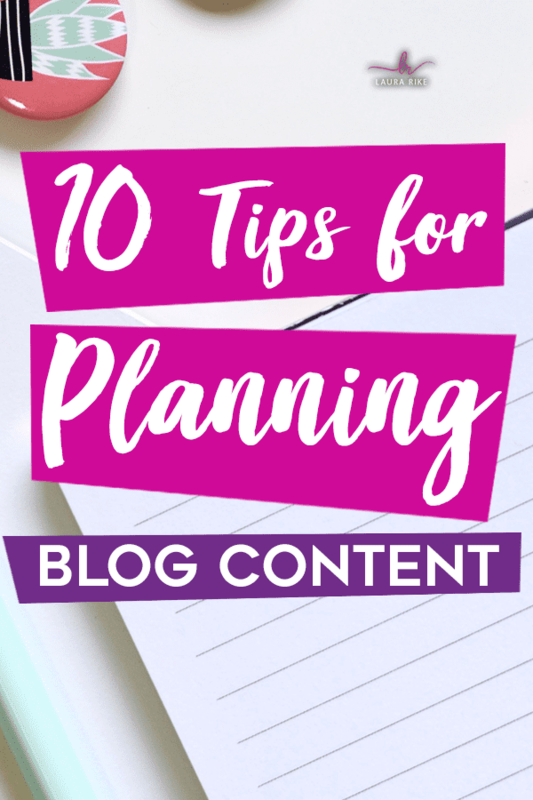 In the beginning, the key is to avoid doing too much too fast, which brings us to our first of 10 tips for planning blog content. 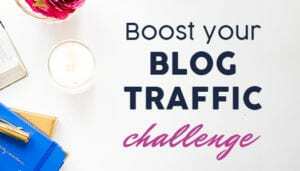 As much as you love what you’re writing about, you can’t just release five blog posts per day and expect people to be hooked on reading them. It’s information overload, both for you and the reader. 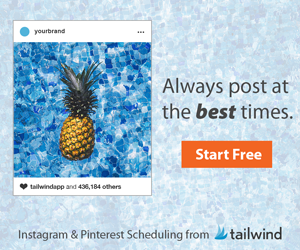 When you release content at a slower pace, you are able to fully focus on marketing it to each of your social media channels and e-mail list. Aim for a new post every few days to once a week and adjust from there. In the end, you’ll have more people reading each individual blog post and less people feeling overwhelmed by too much content. If a subheading catches your attention, it’ll be sure to catch the reader’s as well. This is the beginning of structuring your blog post. 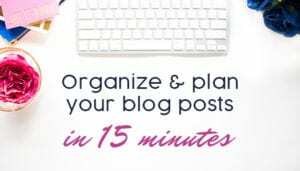 Once you have written down a few subheadings, you will feel like you’ve got a good structure fleshed out, and then it becomes easier to tackle one part of the post at a time. Act like you are one of your readers searching for this kind of content. Read what other blogs are saying, and then say it better. Try to find a new angle that the other blog missed or write the information more clearly. Whatever you do, just make sure you execute better. The last thing you want to do is regurgitate an entire block of information that can be found in 10 other places. It may take longer to come up with unique things to say, but that’s what is going to attract readers. You need to find out which keywords related to your content are being searched. Head over to the Google Keyword Planner and start typing them in. You may get some keywords that generate a lot of traffic, but that doesn’t mean they are the best ones. You need to search for those keywords in Google and see how many competitors there are. The best keywords are the ones that have a lot of traffic with few competitors. Maybe you’re a more visual learner, or maybe you’ll find inspiration from a picture. The best part about searching for images is you can see so many at one time, and your eyes will naturally drift to the ones you find most appealing. From there, you can brainstorm new ideas related to the photo, or you can use the photo for your blog (check terms of license). If you released a blog post that got a lot of likes or shares, see if there’s anything you can expand on. What did people like about that particular post? Chances are there is a section in there that really resonated with people, and you can then expand on it and get every gritty detail for your readers. People love to optimize what they read about, so find ways to help them optimize and make best use of your content. For example, when somebody reads about all of the benefits of cardiovascular exercise, they start looking for the best type of cardiovascular exercise to perform. Once they find that, they search for the optimal form on how to perform that exercise. 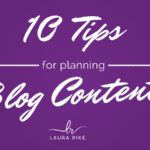 Try to cover all levels so that your blog is their #1 resource. Writing about something that is trending presents two big benefits. One is that you know for sure your audience is going to excited and interested in your topic. The second, and most important benefit, is that you’re going to be one of the first people to write about that topic. 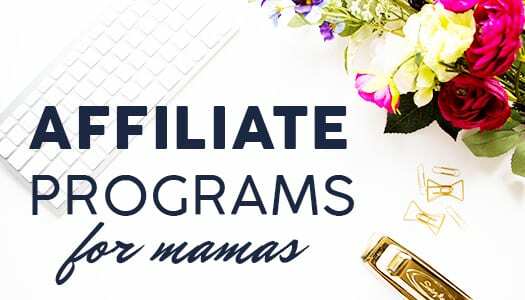 Much of the time these trending topics are new and undiscovered, giving you a chance to do some solid research and beat just about everyone else to the punch. To do this, open Google Trends and search for topics that relate to your blog and any keywords you can brainstorm. Consider all of your marketing channels and determine which one is going to be your best “customer” for this post. If it’s going to interest your Facebook and Twitter followers, you might use more humor than you would for a more professional post to your LinkedIn network. Tailor your post to the channel you’re targeting. Surely you’ve brainstormed a bunch of topics you’d like to eventually write about it in your blog. That may come easy at first, but new ideas aren’t always so easy to come up with. It’s a great idea to set a five or ten minute timer 2-3 times a week to try to add some more topics to your idea sheet. Don’t forget to look at ideas you already have written down that you may be able to branch off of. Lastly, always take a note when something comes to you in your everyday life. A simple notepad or note app in your phone works great for keeping content ideas flowing effortlessly. Once you’ve got your new blog post outlined, it’s time to figure out how to give your readers a memorable takeaway. Your readers ultimately want to know how this information can benefit them, so be sure to really hone in on this. 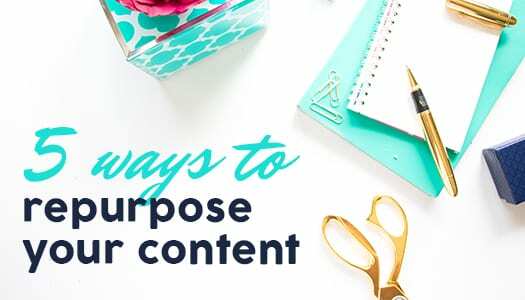 If possible, provide supporting statistics or metrics that definitively show the reader just how much their lives can improve by applying your content. You’ll find that many blogs follow maybe half of these tips or less. 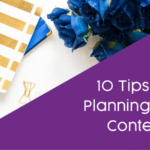 If you start today and follow these 10 tips for planning blog content, you’ll have a serious leg-up on the competition. Great advice! I am pinning this for further research. 🙂 THanks! I love the writing out subheadings idea! I need to try that! These are awesome tips! I’ve been lacking on using keyword research and I really need to start making it a habit to help with SEO and bringing in more traffic. Thanks for sharing! These are great tips. I am just starting to really do more homework for each blog posts using keywords. thank you for this info…i feel like you just took my hand and walked me through step by step to help me improve planning my content. just what i needed!! 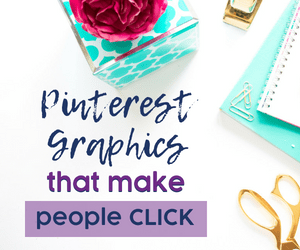 Great advice – not just your typical post on this sort of content so thank you! I’ll be referring back to this myself when planning future posts, particularly using Google Trends. Love this post! Definitely very helpful. These are great tips! I love that you talk about spacing out content. I feel like everyone talks about being consistent, but no one talks about the need to space stuff out! Using Google Trends is such a good idea for finding hot new content topics. I admit that I haven’t been doing much keyword research and it definitely shows in my traffic. It’s so important to find those relevant and popular keywords. Such a great post! All such fabulous tips. It’s so much work but so fruitful if you’re organized and plan. Great idea to google key words and hot topics! Wonderful resource to keep. this is such great advice! 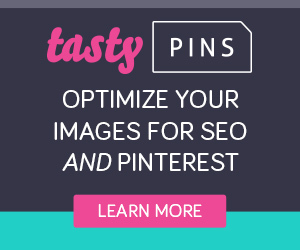 creating content is what i struggle with most so this is really helpful! A lot of great tips. I need to implement the one about the idea sheets for new blog topics. 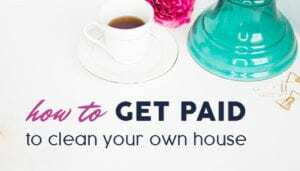 This is such a helpful post, I forget to do a lot of these steps!! Thanks for sharing! I love the subheading idea. As a food blogger when I am struggling to make a title, I type in Google what I want to say and see what comes up. Adding or subtracting a simple word such as “recipe” could make a huge difference. My main profit source from my blog is social media usually blog about the benefits of social media and when a prospect comes to my page and absorbs my content, they either schedule a free discovery session or hire me for social media management services. I think the key is to offer value with your blog posts instead of selling. When you offer value, your prospect can see that you are really sincere and truly want to help them reach their goals. Thanks for these great tips!! I have been lacking in my planning of blog posts and scrambling to publish so this should help. I need to work on my subheadings to really amp up my blog. These are all great tips! I love using Google to find keywords and topics! These are really great tips – thanks! I don’t do most of these right now. Look forward to putting them to use. I think your suggestion to google like you are a reader searching for this content is really helpful and it is probably something I should do more of. 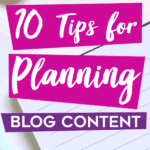 These tips for planning blog content sound like they really have value and reason behind them. I am pinning for future reference to give some of these tips a try. Thanks.